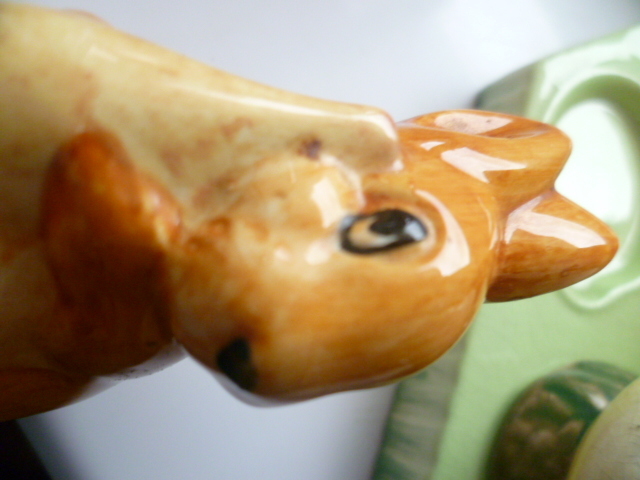 Just seems rather crudely painted for Beswick? 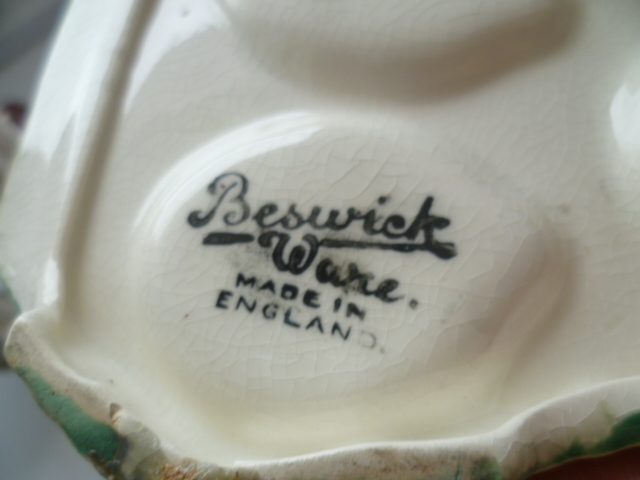 It says in my Beswick book here that this backstamp is the earliest printed stamp found. The mark looks identical. 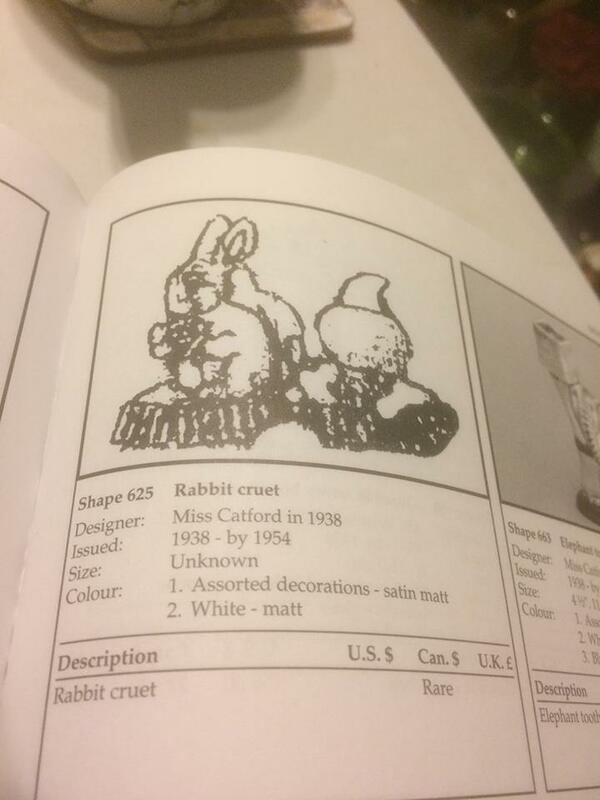 This rabbit isn't in my book, probably because it's a cruet. Interesting, do you know which book that is? 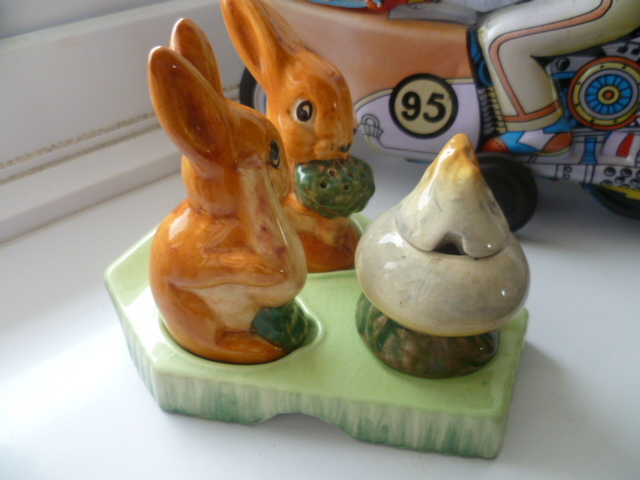 I've got Beswick Animals 6th Edition which is quite old now i guess. 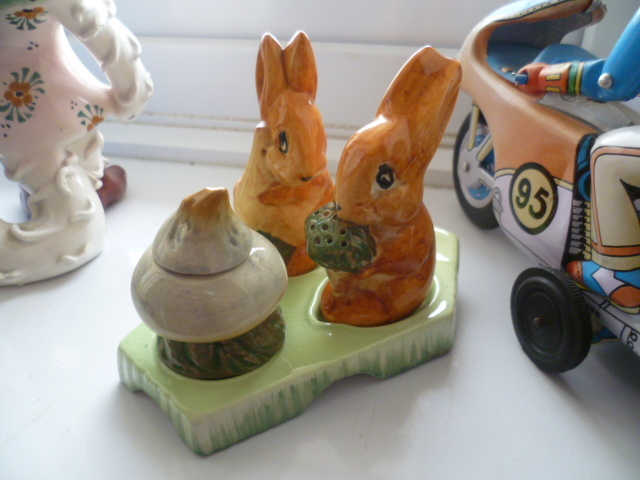 No sign of that cruet. 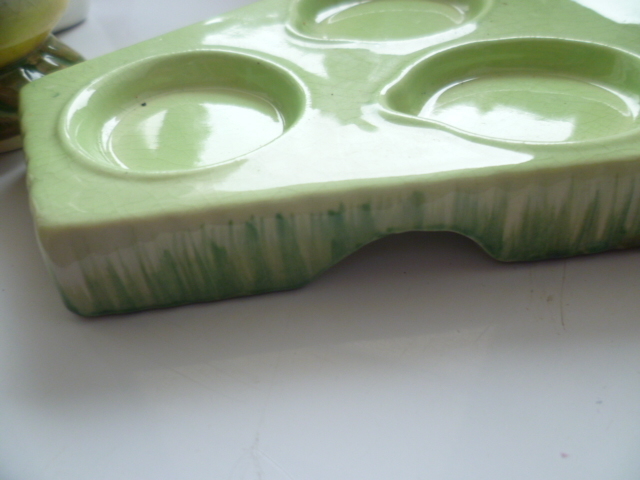 It says matt but yours are glazed. 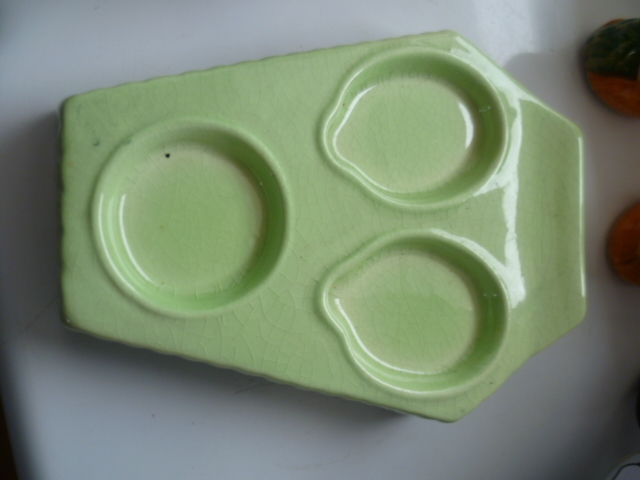 Ah i see, so a general Beswick pottery book. Thanks for letting me know.